Here is an important announcement for all the dentists who wish to join Indian Army as Short Service Commission Officer. 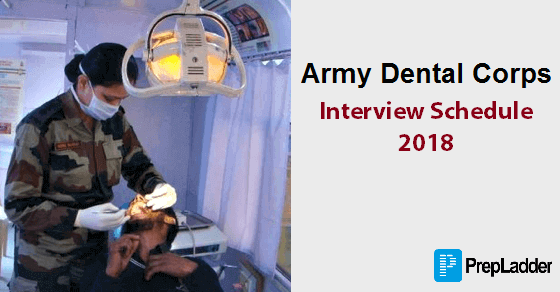 Army Dental Corps has released the interview schedule for the candidates. 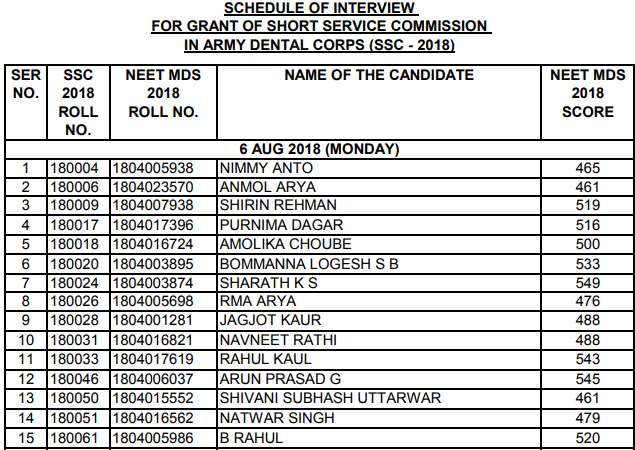 The interview is scheduled to be held from 6 Aug- 16 Aug.
We have come forward with this blog to enlighten you about the important dates for the interview for the grant of Short Service Commission Officers in Army Dental Corps 2018. The interview schedule includes SSC Roll Number, NEET MDS Roll Number, Name of the Candidate, NEET MDS 2018 score and date of the interview.